Retreats aren’t just for priests and sisters, but they are one of the best “perks” of my life as a sister. So I am delighted to invite you to join us at My Sisters’ very first online Lenten Retreat beginning on March 3rd, 2018: Seeking God’s Will Online Lenten Retreat. The online retreat can be made at your own pace, according to your own schedule. I envision some people making the retreat in 3-4 hours, some people taking a full day for it, and others breaking the retreat into three or six parts, taking one part each day or each week. A special bonus for members of My Sisters is the Facebook Live Spiritual Accompaniment sessions that I will be hosting on the evenings of Monday, March 5th, and again Thursday, March 8th, to deepen this theme of God’s will. Seeking God’s Will Online Lenten Retreat will eventually become available as a stand-alone retreat, but without a live accompaniment session. God has a loving plan for each of us. But how do we come to know God’s will? How can know what God’s particular will is for us, here in this moment in our daily life? Sister Mary Lea Hill, popular author (Prayer and You, Blessed Are the Stressed, Basic Catechism, The Church Rocks), is lovingly known by her readers as “the Crabby Mystic.” She has the knack for making the spiritual accessible, and she’ll start this powerful Lenten retreat by unpacking that mysterious term, “God’s will,” and how our happiness and God’s will are connected. 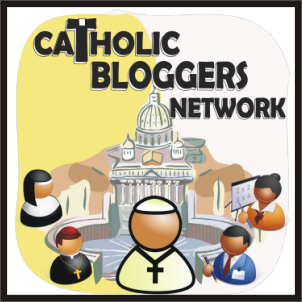 Sr. Marie Paul Curley, author, blogger, and film reviewer, delves into how we find God’s will, love, and presence when things get tough and life’s challenges become overwhelming. Sr. Margaret Michael Gillis, FSP, is Vocation Director for the Daughters of St. Paul throughout the USA and Canada. In her work with young people discerning religious life, she has become somewhat of a “specialist” in discernment, and her insights and suggestions come from years of accompanying young women in their vocational discernments. An engaging, popular speaker (enjoy her distinctive Staten Island accent! ), she offers both practical and spiritual tips on how we can discover God’s will and receive the grace to follow God’s invitations–big and small–in our lives. An online, downloadable Retreat Guide is also available to help guide retreatants through the various movements of the retreat, offering reflections, guided prayer, a Holy Hour, and suggested takeaways to help you to bring the graces and insights you received during this retreat back into your daily life. Into the Deep Retreats are designed to be spiritual experiences that you can make in the midst of your every day life, at your own pace. You can make this retreat as a true spiritual getaway by dedicating a whole day (or long half-day) to it. You can also break the retreat into three sessions—and make it over three days or three weeks. Or you can simply give your Lent a spiritual focus by going through each retreat element in the way that fits best into your day/life. However and whenever you make this retreat, our prayers, and the prayers of all the sisters of our community, will accompany you. ← What Is It REALLY Like To Be a #MediaNun ?